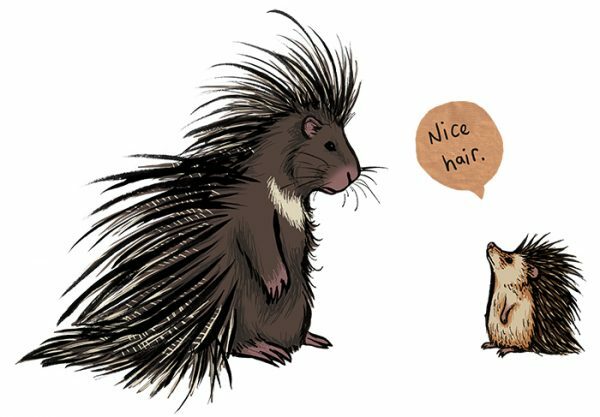 What would a hedgehog think if he came face to face with a porcupine? A little outdone I expect. 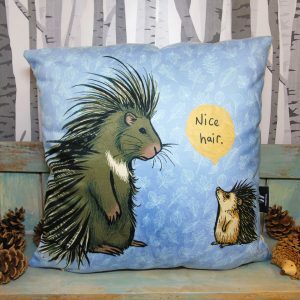 This illustration was inspired by my partner who has crazy spiky hedgehog hair!